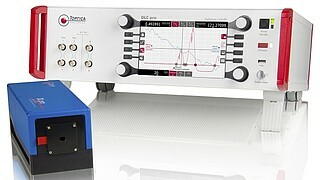 With TOPTICA’s DLC pro, high-end laser control now enters the digital world! The new digital laser controller for TOPTICA’s tunable diode laser DL pro sets new benchmarks with regards to low noise and low drift levels. It provides intuitive touch control and powerful remote operation to run and frequency stabilize the laser. Never before was the use of tunable diode lasers, e.g. for demanding experiments in quantum optics and spectroscopy, so convenient. 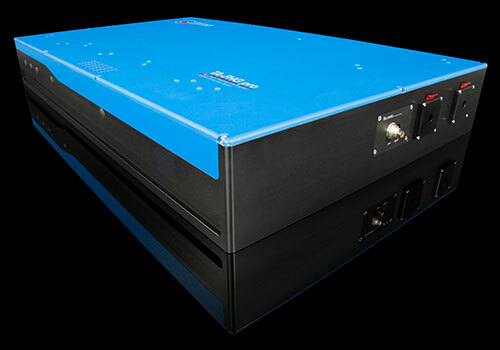 The TA-FHG pro is a tunable, diode-based laser source in the deep UV spectral range. The system consists of an external cavity diode laser, a high power semiconductor amplifier (TA), and two cascaded second harmonic generation stages (SHG pro). Alternatively, it can be equipped with a fiber amplifier (FA) or Raman fiber amplifier (RFA). 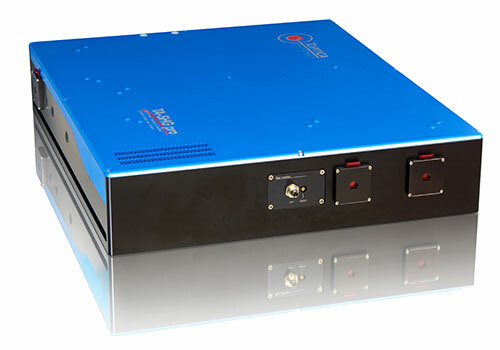 It provides tunable laser radiation for spectroscopy, laser cooling, holography and interferometry. 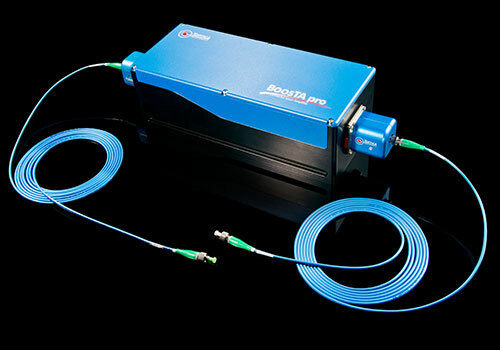 The Toptica BoosTA pro, TOPTICA’s new stand-alone optical amplifier, increases the output power of a DL pro or any other linearly polarized master laser by up to 20 dB (x100). Following TOPTICA’s well-established pro-technology, the TA chip is mounted in a compact unit with optimized heat management and beam-shaping optics. A compact, external power supply (DC HP) drives the amplifier head and allows effortless operation - even of current-hungry TA chips at wavelengths with lower gain. 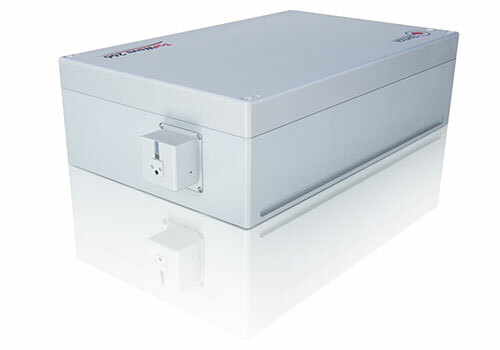 Researchers thus benefit from output power levels up to 3.5 W.
Toptica Distributed feedback (DFB) lasers unite wide tunability and high output power. The frequency-selective element – a Bragg grating – is integrated into the active section of the semiconductor and ensures continuous single-frequency operation. 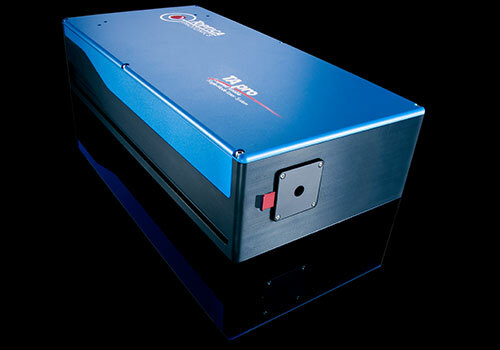 Due to the absence of alignment-sensitive components, DFB lasers exhibit an exceptional stability and reliability. The lasers work under the most adverse environmental conditions – even in the Arctic or in airborne experiments. The Toptica TA-SHG pro system comprises a tunable diode laser, a high power semiconductor (TA) and an integrated frequency doubling stage (SHG pro). Alternatively, it is available with a fiber (FA) or Raman fiber (RFA) amplifier. The SHG stage is a folded ring cavity in bow-tie configuration with excellent thermal and mechanical stability. The system now includes fully-automated push-button coupling optimization into the TA chip, the SHG cavity and the output fiber, as well as output power stabilization. 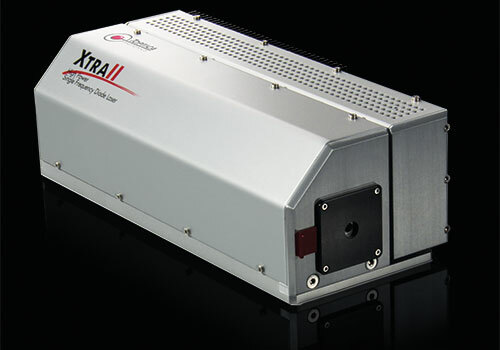 It provides tunable laser radiation for spectroscopy, laser cooling, optical data storage, holography and interferometry. 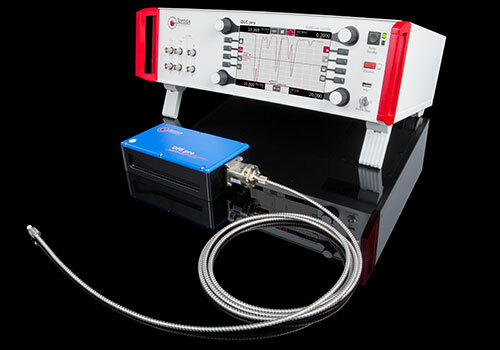 The Toptica XTRA II provides three top features from one single unit: Gaussian beam proﬁle, single-frequency operation and high output power. Incoherent ASE is suppressed by more than 40 dB, turning the XTRA II into the ideal choice for demanding Raman applications depending on a high signal-to-noise ratio. The integration of a high quality optical isolator as a standard feature ensures long term rock solid performance of the XTRA II.